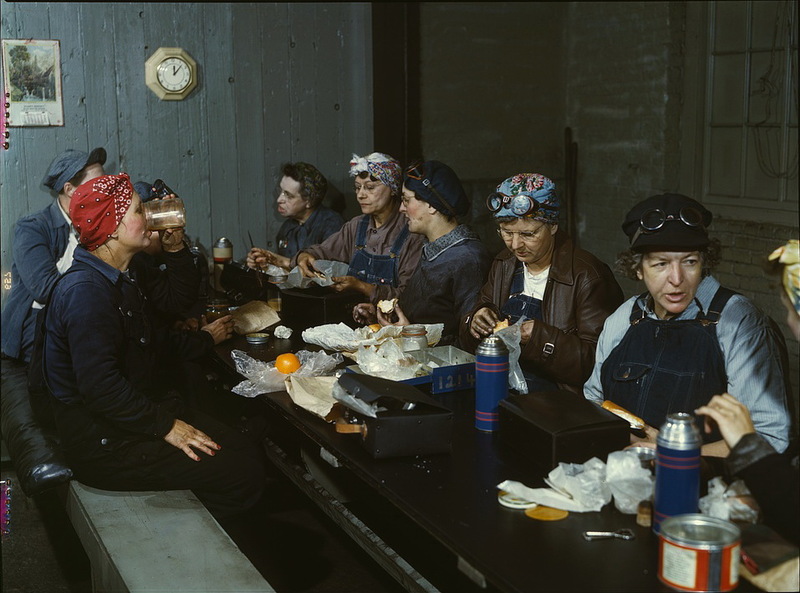 Women railroad workers on lunch break, Clinton, Iowa. April, 1943. Photo by Jack Delano. Library of Congress collections.